This dish is a firm favorite with my daughter Eesha since she was three or four years old! She still loves it with a nice bowl of steaming rice. 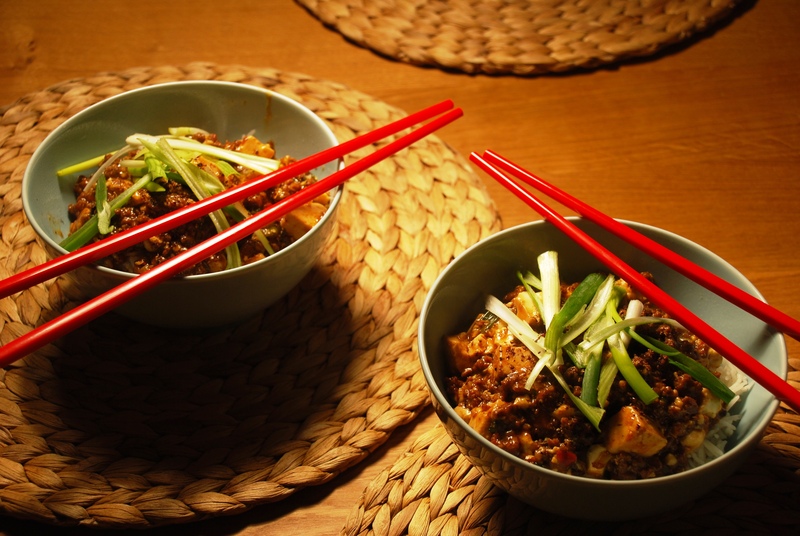 She would make regular requests for her beloved Ma Po Tofu which she could barely pronounce when she was little! This is a nice quick and easy dish to prepare provided you have all the ingredients at home. It is pretty healthy, quick and perfect for a quick dinner or lunch and of course packed full of flavor. The Sichuan pepper gives such a great dimension to it. And Toban Jiang or chilli bean paste is a must have in my fridge for numerous Chinese dishes (the Lee Kum Kee brand is good). This recipe is from one of my favorite Chinese cookbooks called “The Food Of China, a journey for food lovers”, its by Murdoch Books. Every recipe turns out really authentic. Its full of fool proof recipes which will give very tasty results. Flicking through the pages will have you drool over the amazing pictures. A really great book if you like Chinese. I often double the amount of pork in this dish as I like it a bit meatier and use the regular sized tetra pack of silken tofu for this, which is about half of the quantity recommended here. Cut the tofu into cubes. Place the meat in a bowl with 2 teaspoons of the soy sauce, 2 teaspoons of the rice wine and the sesame oil, and toss lightly. Dry-fry the peppercorns in a wok or pan until brown and aromatic, then crush lightly. Heat a wok over high heat, add the oil and heat until very hot. Stir-fry the meat until browned, mashing and chopping to separate the pieces. Remove the meat with a wire sieve or slotted spoon and heat the oil until any liquid from the meat has evaporated. Add the spring onion, garlic and ginger and stir-fry for 10 seconds, or until fragrant. Add the chilli bean paste and stir-fry for 5 seconds. Combine the stock with the remaining soy sauce and rice wine. Add to the wok, bring to the boil and add the tofu and meat. Return to the boil, reduce the heat to medium and cook for 5 minutes, or until the sauce has reduced by a quarter. 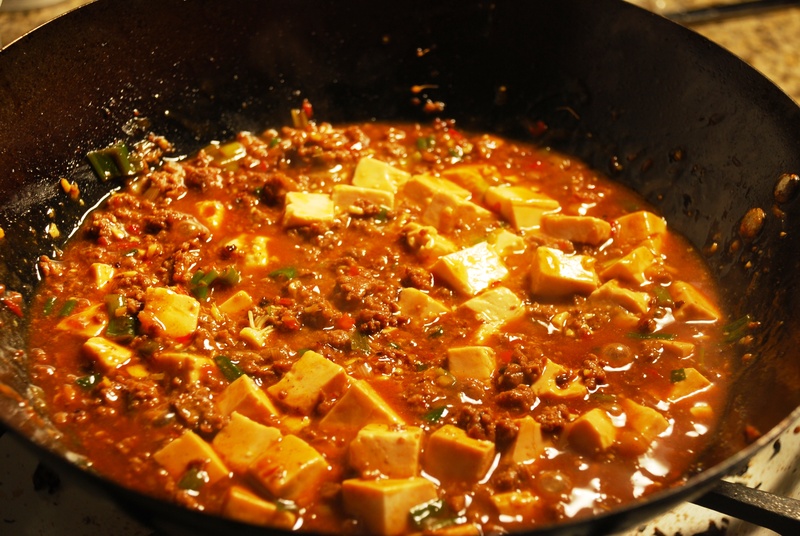 If you are using soft tofu, do not stir or it will break up. Combine the cornflour with enough water to dissolve it and add to the sauce and simmer until thickened. Season if necessary. Serve sprinkled with the spring onion and Sichuan peppercorns.